Have you ever loved cheese so much, you wanted to make a mob dedicated to promoting its tastiness? That’s the thinking behind designer Jade Tang-Taylor, Sylvia Zuur, Pledge Me’s Anna Guenther, Thankyou Payroll’s Hugh Evans and The Vodafone Foundation’s Lani Evans new business, the Cheese Cartel. The monthly cheese subscription box aims to showcase local artisan cheese producers while satiating cheese admirers’ palates. The founders – Silvia Zuur, Jade Tang-Taylor, Anna Guenther, and Lani and Hugh Evans – have all previously founded businesses in New Zealand with social impact at their core. Cheese Cartel is no different, with its aim to champion and celebrate small-scale cheese producers in New Zealand and connect them with cheese-loving consumers. “We all have started and scaled companies previously, and it made sense for us to work together on creating a business around something we loved – local cheese,” Guenther says. The idea begun, fittingly, on a cheese-filled night in Central Otago accompanied by a glass or three of Pinot Noir between the friends and co-founders, but soon blossomed into a business venture, with a .com domain bought, and a company registered. Guenther says the group was pleased to discover that it’s possible to incorporate a cartel into the New Zealand Companies Office. To get the business off the ground, they kicked off a crowdfunding campaign on Pledge Me at the end of last year, aiming to raise $18,000 to green-light their cheese subscription service. The crowdfunding campaign ended up hitting $20,360, with pledgers offered different cheese subscription tiers as a reward for their efforts. Now, the company is launching in March with three subscription offers: three months, six months or 12 months of cheese, delivered to the recipient on the second Tuesday of every month. Pre-orders are available already. Guenther says the purpose of the Cheese Cartel is to curate monthly local, sustainable, small-scale cheese boxes to support regional producers and inspire cheese lovers. This is because while New Zealand’s dairy industry is prolific, its small-time cheese producers deserver more time in the limelight. While it was a buzzing industry in the early 1900s, when refrigeration came into effect in the 1920s, the regional production of cheese around the country was no longer necessary and mostly lost. It’s only in the last few decades that the practice has been revived, with the number of cheese producers having more than doubled in New Zealand in the last 20 years. But it’s not without international competition to contend with, either. In the last ten years, the amount of cheese imported into New Zealand has more than doubled as well, going from $37 million in 2008 to $88 million in 2017. 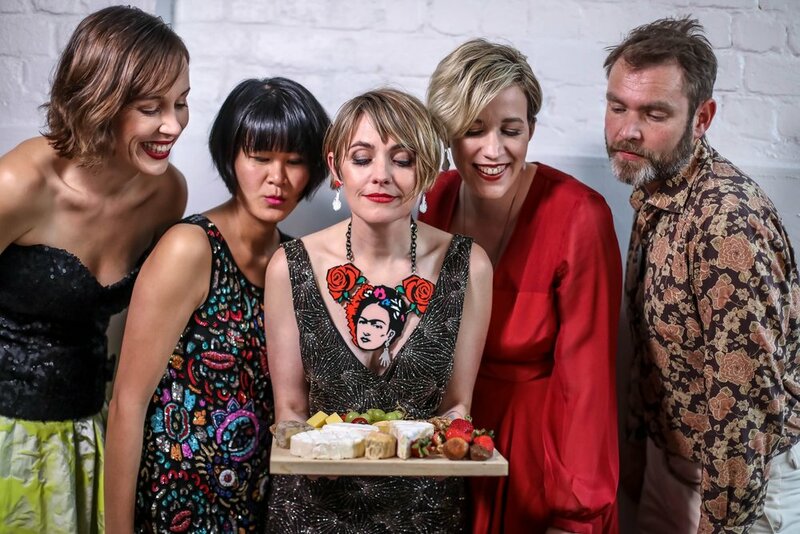 Zuur says the Cheese Cartel aims to celebrate small-scale cheese producers in Aotearoa by helping them share their stories directly with consumers, as well as connecting them to new people that will go on to find their product in the future. One of the first cheeses showcased in the monthly box will be the very last wedges of the award-winning Cwmglyn Cheddar. Biddy Fraser-Davies was a champion cheesemaker and entrepreneur, having been one of the founders of the Etekahuna Cheese Festival. She was gifted her first cow at 60 years old, but age was no obstacle – she taught herself how to hand milk and discovered a passion for cheesemaking. Her handmade cheddars were each made from the milk of just one single cow and went on to win numerous awards, including “Super Gold” at the 2014 World Cheese Awards from over 2,700 entries. “Sadly, Biddy passed away in July and Cwmglyn won’t be producing any more cheddar. After talking with Colin, her husband, we were lucky enough to receive the last wheel of cheddar to share – as a chance to celebrate her achievements and remember this incredible cheese maker,” Zuur says. To find out more about the subscription service, check out its website.